Entertaining in style or simply feeding family and friends, whatever your plans, this is the perfect home accent. Sumptuous cream, budding dahlias and gorgeous cream and green hydrangea in full bloom make this versatile Bloom Kit ….classy. 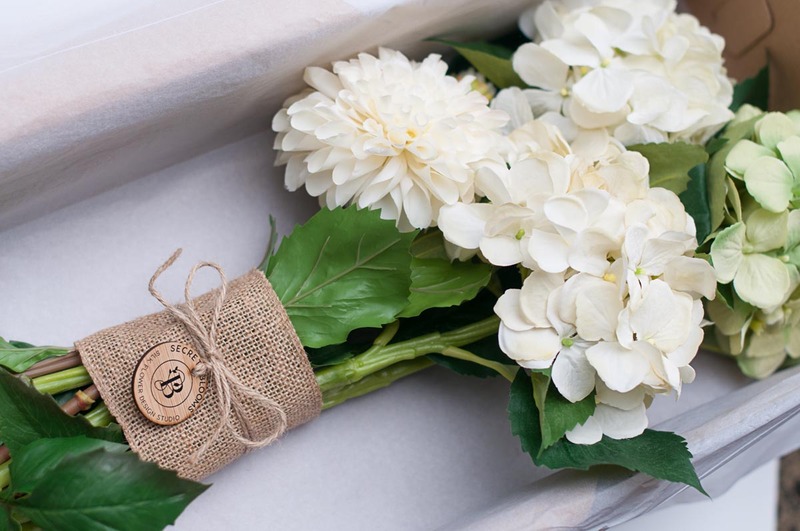 Our signature water friendly hydrangea stems extend your display options with this kit allowing you to add fresh water to a glass vase for an instant hit of ‘fresh’. 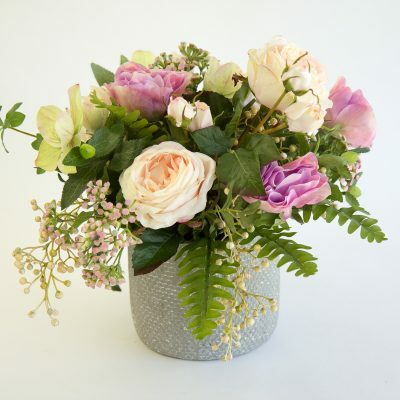 Our Bloom Kits are made up of exquisite faux flowers offering a variety of presentation options for you to enjoy year round. Our collections have been designed with style, function and versatility in mind. 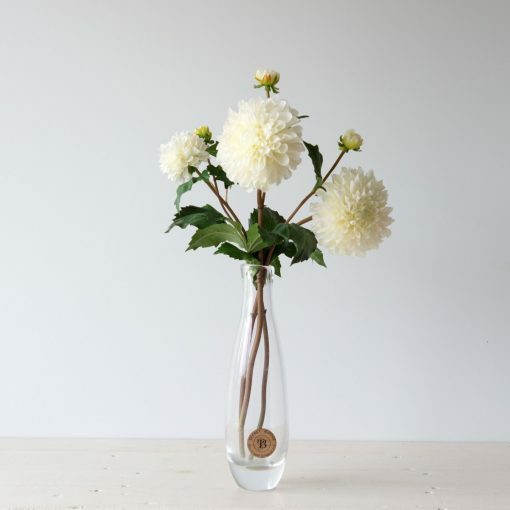 On their own, each collection is a stunning centerpiece personalised in a vase from your own collection and – if you wish – fresh foliage or branches from your garden. 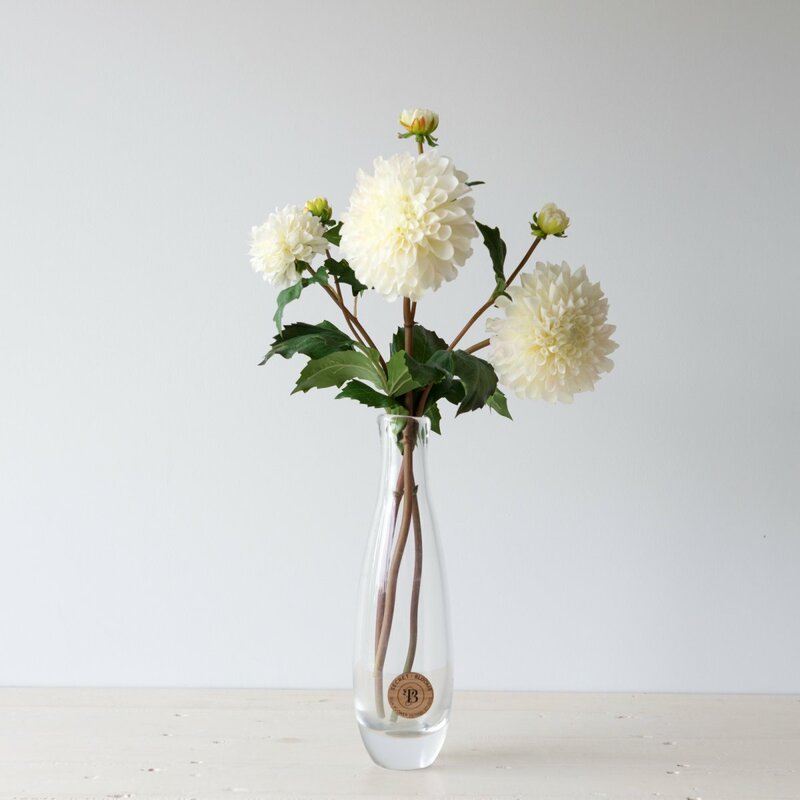 Individually, the stems can be used in ornate glassware to dress a dinner table, accent a bathroom or brighten up a mantelpiece. Leave the collection out to enjoy daily or slip your blooms away between uses in our handy Bloom Box. 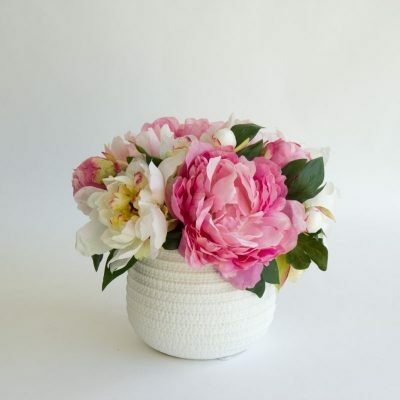 Each Bloom Kit comes with its very own Secret Blooms Style guide filled with bloom info, recommended fresh foliage accents and a few presentation tips to get you started. 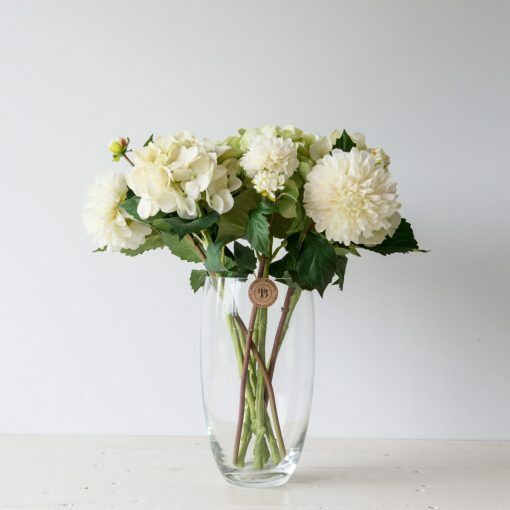 Your Classy Classics Bloom Kit includes a generous bouquet of dahlia flowering stems (2), dahlia bud stem (1), cream hydrangea (3), green hydrangea. Vases and natural foliage as pictured in images are not included. 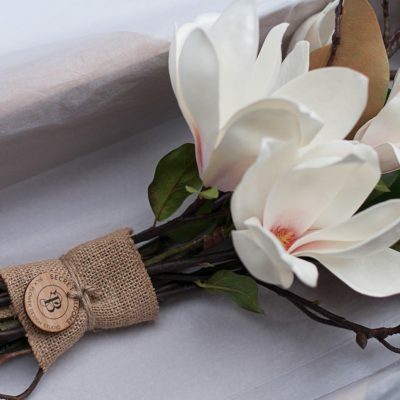 Each kit is prepared to order, beautifully presented in our Bloom Box with handwritten stationery and of course our signature Secret Blooms wooden seal of authenticity. Whilst every effort is made to illustrate the product’s true likeness in our photos, there is likely to be some minor variation in the appearance of your product as a result of blooms being individually made and hand painted.